Mr. Cliff Massey from Wrexham discovered a hoard of three 23 carat gold and twenty-five silver coins in a field in Bronington. They were buried or lost together after 1465 and are from the reign of Edward III, Richard II, Henry VI. On the same field in 2014, Mr.Massey found a gold ring with cabochon blue sapphire, dating from the 15th century. 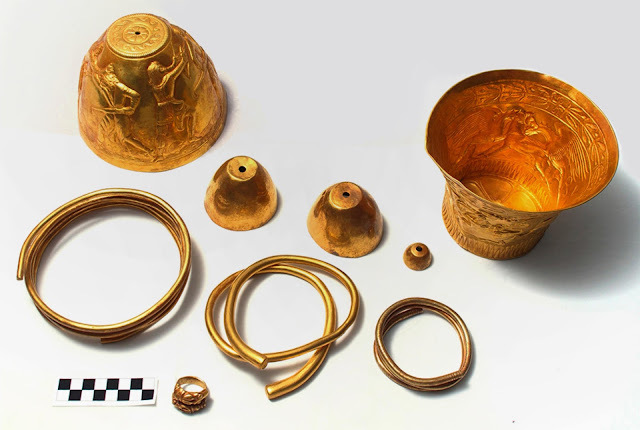 These items are estimated to be worth thousands and have been declared a treasure. The coins and medieval ring are currently at the National Museum of Wales but Wrexham County Borough Museum hopes to acquire them.